72 results found in Horse carriages for sale. 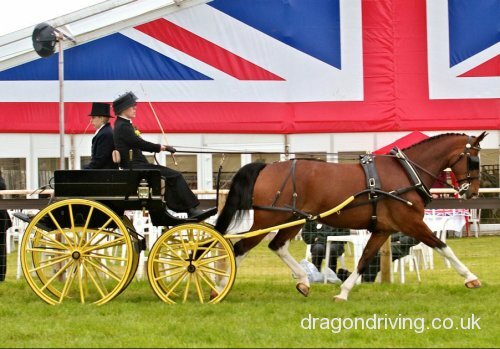 Advertise your carriage for only £6 until sold. 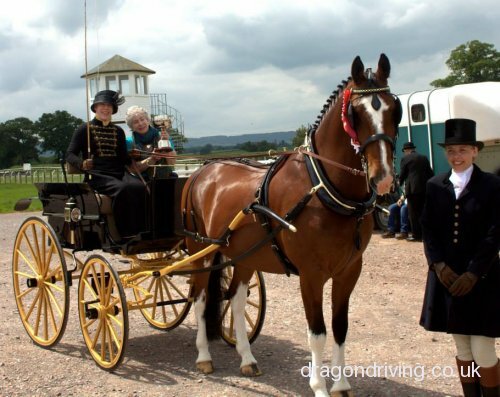 Large wagonette, has been used as a bridesmaids vehicle and for carriage tours. Comes with pole and shafts. Fits up to 17hh horses. Wagonette, modern Polish carriage, black. Comes with pole and shafts. Would suit 15hh upwards. Pole and shafts are fully adjustable. Would have a deal for a 4 wheeled trolley or a 14.2hh driving gelding. Genuine early 20th c. Gig, very good condition. Seats 3 adults. Suit 15hh-16hh. Black with red detail. Cushion seat and back rest. Well balanced and light to handle. Possible Attelage with some work. Warco single horse, 3 phase carriage. This was my first carriage and it's perfect for a large horse, very stable and easy to pull. Great for roadwork, and off road. Back stepper is 6'3". Strong and sturdy makes this a safe to drive carriage and only selling as due to my not measuring it correctly, it won't fit in our new lorry with the horse! (Very embarrassing!). If only I didn't have enormous tack lockers! New brake system fitted last month. Adjustable shafts. Adjustable seat. Good condition, kept undercover in garage. Painted with Hammerite last winter, photo was taken beforehand. 1915 Irish Ralli car, 4 seater, black leather seats and back rest. Only selling due to lack of time and space. Fitted with foot brake & handbrake. Very useful vehicle for big horses. Beautiful white town coach, believed to have been built in the 1850's. Immaculate condition. Four wheel carriage (Rob Roy). Totally restored in 2016. Newly upholstered in blue / grey tartan. Beautiful paint and art work. In excellent condition, ready for weddings, etc... Shafts for single and pair. Email for more photos. Governess carriage. (Elsie McKay). Built 1930-40 Clonmel, Ireland. Totally restored in 2016. Matching paintwork and upholstery. Coat of Arms floor covering. Roof seat brake for sale. In fantastic condition. With disc brakes. 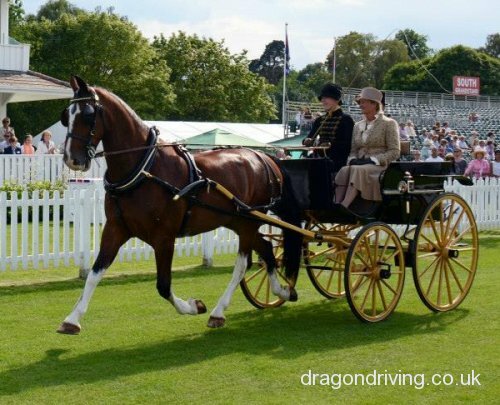 Lovely vehicle for the show ring. Done little work. Harewood 2 wheel spindle back gig, bought from Reading Carriage Sale approx 30 years ago. To fit 15hh – 16hh. Ash shafts & fixed trace hooks. Wheels 139cm diameter. Good condition but not immaculate, does have some rubs, chips, cracks on paint work. Been stored under cover, not used as no longer showing. 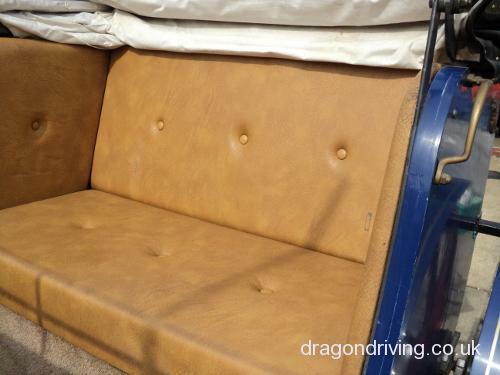 Original upholstery, driver wedge cushion, passenger cushion, both with leather straps, back tie on cushion strip and skirt. 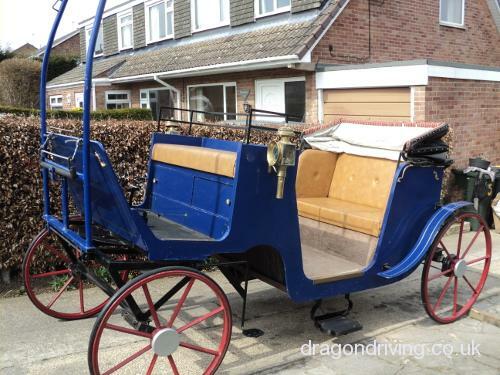 Genuine Victorian Landau for sale, has both pole for pair and shafts for single horse. This carriage has done TV work and wedding work and although needs a little TLC in places is in generally good condition. I've never used the carriage as my horse was too young and I have since sold him on so no longer have a horse to pull it. It really is a beautiful carriage and a piece of history. Any questions please ask, sensible offers considered, would also consider swapping for a well bred, registered, young Shire filly. Polish competition carriage, used but in good condition. With solid tyres, comes with shafts and pole. Disc brakes all round, seats 6. Can deliver for fuel costs. Klaus Ruhr Polish competition carriage, used but good condition. Comes with shafts and pole. Disc brakes all round, seats 6 and solid tyres. Can deliver for fuel costs. 6 seater Glinkowski carriage, 2015. Very comfortable smooth ride! 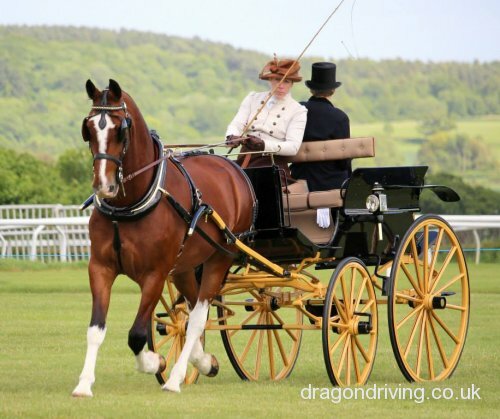 Fantastic training carriage for large pair or team, has been used with 15.3hh Irish horses. No rips or tears in lovely condition. Weight 440kilo. Brake lights and foot control indicators also fold in mirror on drivers side. Lots of under seat storage for longer journeys or picnics and wet weather gear. Radio and usb port for your own music! This carriage has had little use since new. For sale, full size bow top, been built brand new, top brand new. New tyres. With a brake on it. Full size bed, the window in the back, hay cratch on it. Brand new queen stove. The dray's all lined out and the shafts are lined out all ready to go for the summer. Would have a deal for a driving cob or a nice big youngster unbroken. I have got it for sale and am not married to it. Pheaton, carriage, four wheels on iron rims, restoration project. Woodwork good. Wheels all good, new felloes off side wheel as per pictures. To suit per of large horses. Can be shipped to mainland. Devonshire four wheeled harvest wagon, restored to show condition. Arched front axle, drag shoe, rope rollers and thripps. This is a handy size wagon to suit large cob or heavy horse. Please ring for more details. Part exchange for project considered. 2 1920s 4 wheel carriages in good condition for age. No shafts! One sold. Price each or sensible offer for both. One set of wheels on iron the other is on rubber. 2 wheel carriage. Good condition for age.